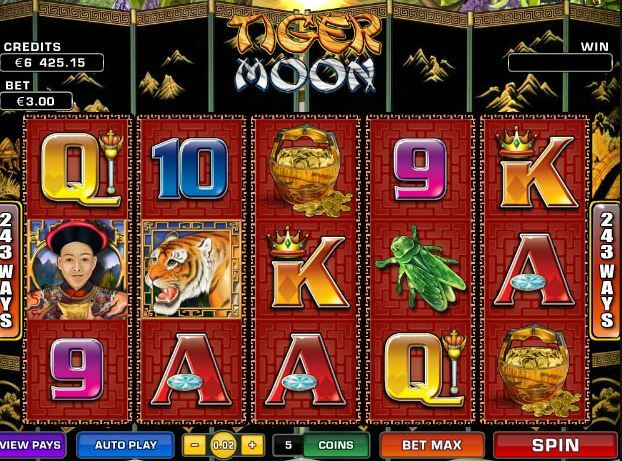 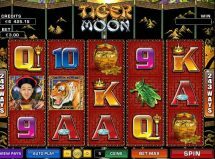 Tiger Moon slot a Microgaming 243 way game and yet another Oriental theme is seen here on this 5 reel 3 row offering. 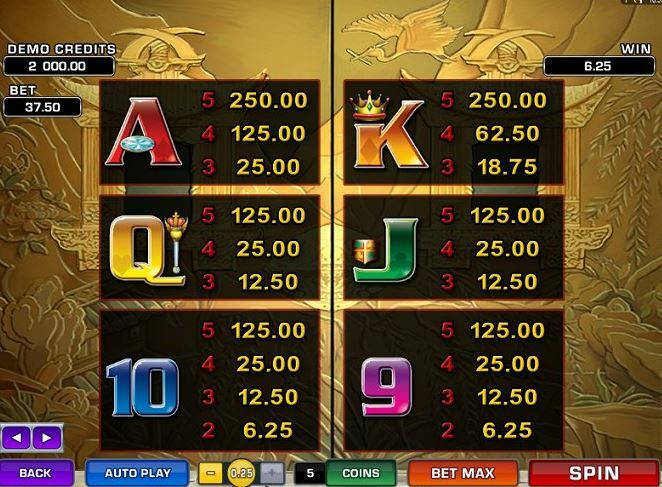 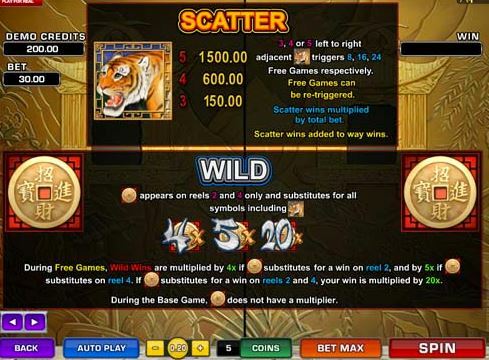 There are non-multiplying Wilds available on all reels 2 and 4 only like their Gung Pow slot which take the form of tokens and there is an interesting bonus round consisting of 8 free spins when landing 3 or more Tiger scatters on consecutive reels from the left. 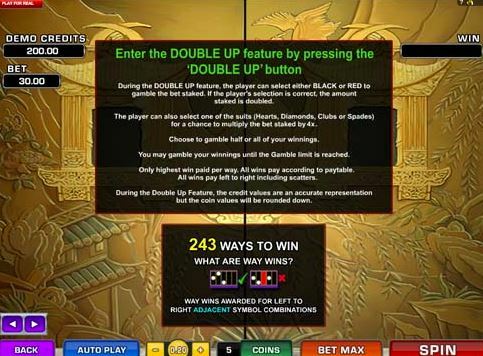 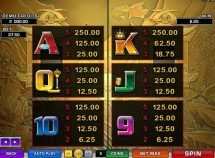 The Wild will enhance wins in this bonus as on reel 2 if involved in a win the Wild will multiply 4x, on reel 4 by 5x and if both land by a decent 20x! 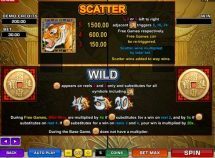 RTP is 96.11%.